Local dishwasher repair needs are covered in a timely manner by our company. In spite of the fact that these appliances are not extremely complex, they still consist of several parts that wear and tear over the years. Is this the reason for your dishwasher breaking down? This is one of the reasons. Components wear, but they might also break. Hoses might get kinked. Salt residues due to water hardness will also cause serious issues. When you trust the professional services of our specialized team at Around Town Appliance Repair Pasadena, CA, you stop being concerned about such issues. Do you know how our dishwasher technicians can help? * We provide fast dishwasher troubleshooting and service and fix any issue related to your kitchen appliances. By examining meticulously all parts, we do find the faulty ones which either need quick fixes or replacement. Rest assured that our suggestions are honest and most services are completed the first time. * Our main goal is to help customers in Pasadena avoid problems and the hassle of mopping the floor when the appliance is dripping water or overflowing. You can rely on the thoroughness and great results of our dishwasher maintenance. We do rejuvenate your appliance and recommend replacements if we evaluate that this is necessary. * It goes without saying that all broken, worn and damaged dishwasher parts are replaced. You can be certain that we supply and install only first class components and make sure they are properly connected at the most convenient time for you. * We provide dishwasher installation and as specialists in all types and models distributed on the market of California, we do install them all. The dishwasher is carefully leveled and all connections are done properly. * You can count on our team every time problems emerge unexpectedly. 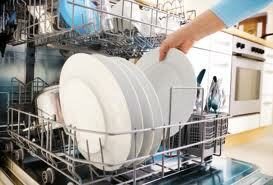 We provide timely dishwasher repair in Pasadena, CA. Our dishwasher technicians help local customers at the quickest possible time and especially if you encounter urgent issues. Our services are affordable, and we do solve problems and untie your hands. Do call us for any related request!